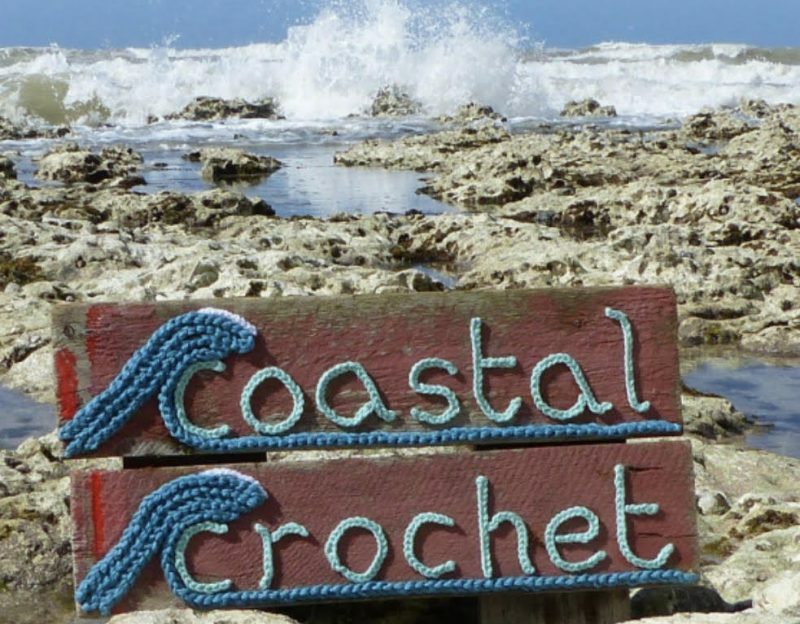 At the weekend I hosted a workshop at The Crochet Sanctuary and what a fabulous experience it was! The lovely Lisa from The Wee House of Crochet and Lynda-Rose of Lyndas Craftroom were the organisers of the event and contacted me last year to ask if I would be willing to host a workshop. I’m never able to turn anything crochet related down so of course I said a big yes! And I’m so very glad I did… what an amazing weekend it was! I’d put a great deal of thought into the kind of workshop I would host and Lisa and Lynda-Rose put their trust in me and let me decide. I felt it had to be something Coastal, something that is a little different and something that is achievable in an afternoon! So I decided on a ‘Crocheting Around Pebbles’ workshop! Loved loved loved your workshop! Well, I loved the whole day. I didn’t want it to end! I’ve read some of the participant’s blogs about this and it was obviously a huge success – well done! Sounds like a wonderful weekend. Your crochet pebbles class looked fun! I had read about the workshop and it sounded as if everyone had fun. I am Sooooooo jealous I missed this! I’m now saving so I can go to a retreat at the end of the year! No doubt everyone was super excited to meet the wonderful Eleonora from Costal Crochet! I know I would have been. 🙂 I think the best part about this is getting to meet with fellow bloggers and followers as you mentioned. I would love to do that as well someday. I just live too far away! I’m so glad it was a huge success. How lovely! Sounds like heaven!